Jessica Herrera is a contributor to Writers on the Range, the opinion service of High Country News. She writes in New Mexico. It’s undeniable that renewable energy is booming, changing the way we get our power and shifting us away from fossil fuels that damage the environment. Yet in my home town of Tucson, which gets nearly 300 sunny days every year, a lot of plentiful Arizona sunshine is going to waste. And it isn’t just happening in the Copper State. Across the West and throughout the U.S., in the face of this rapidly changing energy market, investor-owned utilities and some energy co-ops are impeding the transition. They’re trying to protect their profits and coal-fired power-plant investments at the expense of the wellbeing of people and the planet. These power companies support lobbying groups like the American Legislative Exchange Council and Edison Electric Institute, which spout myths about renewable energy. In Florida, a Koch brothers-funded consultant encouraged the use of “political jiu-jitsu” to mislead the public and policy makers about solar. Perhaps one of the most misleading claims is that solar energy customers don’t pay their fair share for grid services and that everyone else pays the price. This “cost shift” claim has been repeated over and over again. What’s usually the focus of this argument is net metering, a program that reimburses owners of solar panels for the excess energy they put back into the grid. When rooftop solar customers generate more energy than they use, the utility either gives them credit on their bill or repays them for the extra energy at a pre-determined rate. 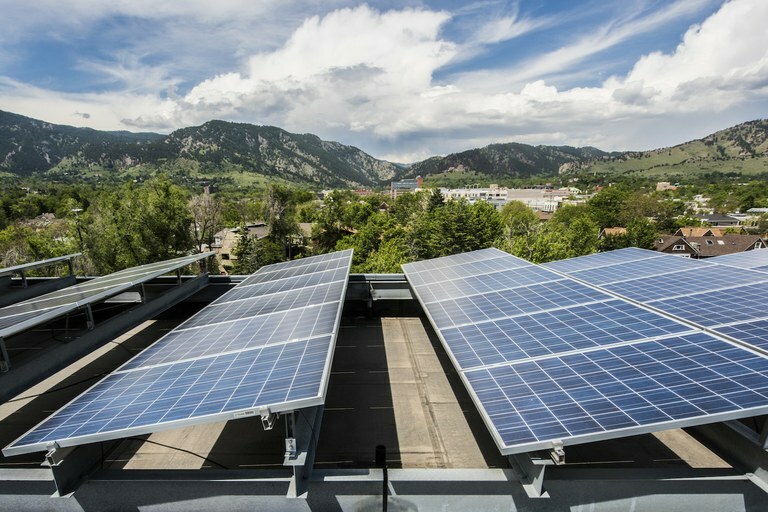 Because each solar installation means less power the utility can sell itself, utilities complain that net metering puts the cost of keeping the grid working on others. Rooftop solar has become caught up in the politics of the fossil fuel industry. This myth has been so successfully disseminated that it led Nevada to halt its net metering program at the end of 2015. The result was a freeze in rooftop solar growth. Large solar companies left the state, and took the good jobs they created with them. Local installers I talked to lost 90 percent of their business and had to downsize and lay off employees during the winter holiday. These losses are only now being reversed as the state walks back its decision and reinstates net metering. Other states like Arizona and Indiana have also moved to end net metering or tacked on unfair and unnecessary grid access fees, fixed charges and monthly minimums. These tactics often target solar customers, but sometimes they’re foisted on everyone. But here’s the thing: This cost-shift argument has been debunked over and over again by independent research and state-funded studies from Mississippi to Maine. That research has actually found that rooftop solar and net-metering programs reduce electricity prices for all utility customers, not just those with solar panels. That savings is possible because rooftop solar installations provide energy exactly when it’s needed. That takes pressure off the grid — especially during peak hours — and reduces the need for inefficient and expensive power plants. It also eliminates the need to transport energy over long distances and reduces the costs of maintaining the power grid. There is less wear-and-tear on the power transmission system and less energy loss. As our energy markets change, jobs in the extraction and maintenance of fossil fuels dry up as well. Meanwhile, the rapid growth of rooftop solar is creating well-paying jobs at a rate that’s 17 times faster than the total U.S. economy. Diversifying the way we get our energy also helps to secure American energy interests and provide for greater independence. It puts energy choices in the hands of customers rather than centralized monopolies. Net metering makes going solar affordable for middle-class Americans and supports local sources of power rather than relying on imported fossil fuels. Finally, there are the immense health and environmental benefits of renewable energy — benefits that are often overlooked when we weigh the costs and merits of our power mix. Reducing air pollution by replacing coal power with solar would reduce respiratory problems and heart disease. That could save an estimated 52,000 lives each year. Solar also helps us fight the worst effects of climate change and protect wildlife and their habitats from the destructive effects of fossil fuel development and use. Rooftop solar doesn’t require additional land use because it can be built on existing structures like homes and businesses, making it the most environmentally friendly power source available. Utility myths like the thoroughly disproven cost-shift argument shouldn’t be given airtime. It’s time to let the myths fade so that we can focus on the renewable energy future.